Are you reading for even more page-turning fun? Your daughters (and even sons) will love these 25 MORE great adventure chapter books for girls! Because, after all, girls need to read more than princess books. As a girl, the last thing I ever would have read were books about princesses or trying to win the boy. I wanted adventure! 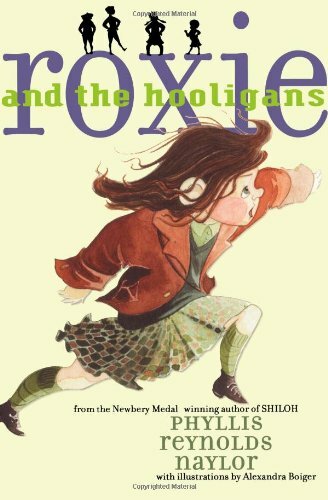 I wanted to read about daring, rough-and-tumble girls who seek out adventure or rise to the challenges thrown at them. Earlier this year, I published the first part of adventure books for girls. Enjoy the second part! You can find these adventure chapter books at your local library or purchase through the affiliate links provided for your convenience. 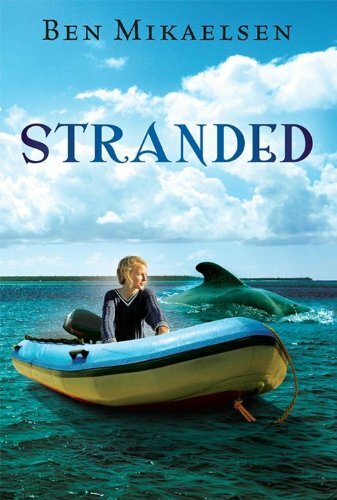 Stranded (new cover) by Ben Mikaelsen: Koby’s whole life changed after the accident four years ago. Between the smothering concern of her separated parents and the awkward glances from the kids at school, Koby only feels at home when she is on the ocean in her dinghy. That all changes when she rescues two dying pilot whales. Day after day, she visits the whales as they begin their long road to recovery. She finds a new friend in Dr. Tracy Michaels, a veterinarian, and gains the admiration of her classmates. But most importantly, Koby starts to recognize her own strength and courage. 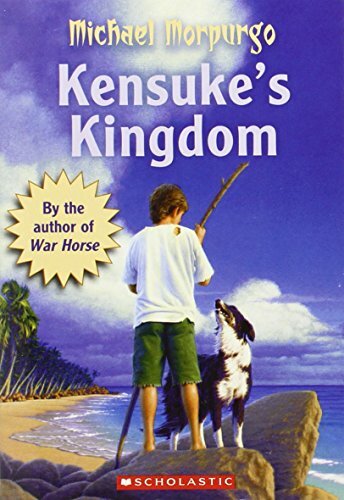 Kensuke’s Kingdom by Michael Morpurgo: When Michael’s father loses his job, he buys a boat and convinces Michael and his mother to sail around the world. It’s an ideal trip – even Michael’s sheepdog can come along. It starts out as the perfect family adventure – until Michael is swept overboard. He’s washed up on an island, where he struggles to survive. Then he discovers that he’s not alone. His fellow-castaway, Kensuke, is wary of him. But when Michael’s life is threatened, Kensuke slowly lets the boy into his world. The two develop a close understanding in this remote place, but the question of rescue continues to divide them. Roxie and the Hooligans by Phyllis Reynolds Naylor: Lord Thistlebottom’s Book of Pitfalls and How to Survive Them has taught Roxie Warbler how to handle all sorts of situations. If Roxie’s ever lost in the desert, or buried in an avalanche, or caught in a dust storm, she knows just what to do. But Lord Thistlebottom has no advice to help Roxie deal with Helvetia’s Hooligans, the meanest band of bullies in school. Then Roxie finds herself stranded on a deserted island with not only the Hooligans but also a pair of crooks on the lam, and her survival skills may just save the day — and turn the Hooligans into surprising allies. 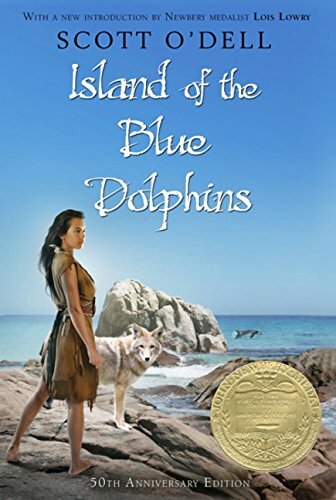 Island of the Blue Dolphins by Scott O’Dell: Here, in the early 1800s, according to history, an Indian girl spent eighteen years alone, and this beautifully written novel is her story. It is a romantic adventure filled with drama and heartache, for not only was mere subsistence on so desolate a spot a near miracle, but Karana had to contend with the ferocious pack of wild dogs that had killed her younger brother, constantly guard against the Aleutian sea otter hunters, and maintain a precarious food supply. 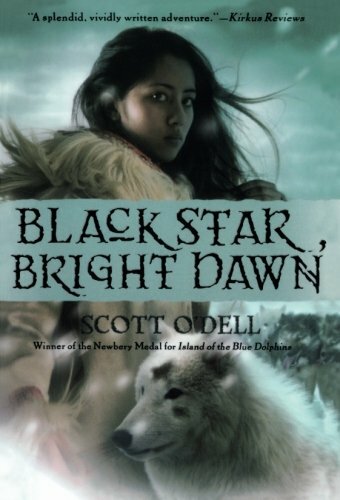 Black Star, Bright Dawn by Scott O’Dell: In this redesigned edition of Scott O’Dell’s classic novel, a young Eskimo girl encounters frightening obstacles when she takes her father’s place in the Iditarod, the annual 1,172-mile dogsled race in Alaska. 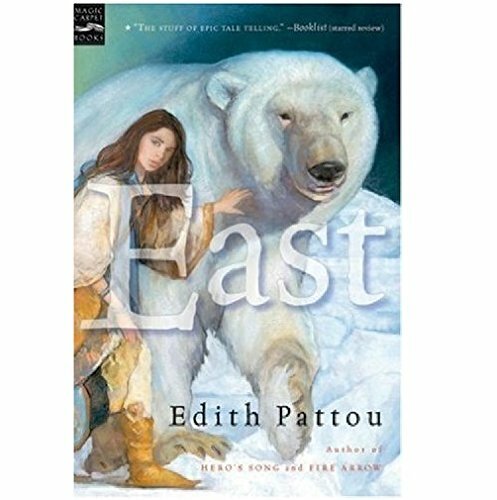 East by Edith Pattou: Rose has always felt out of place in her family. So when an enormous white bear mysteriously shows up and asks her to come away with him, she readily agrees. The bear takes Rose to a distant castle, where each night she is confronted with a mystery. In solving that mystery, she finds love, discovers her purpose, and realizes her travels have only just begun. 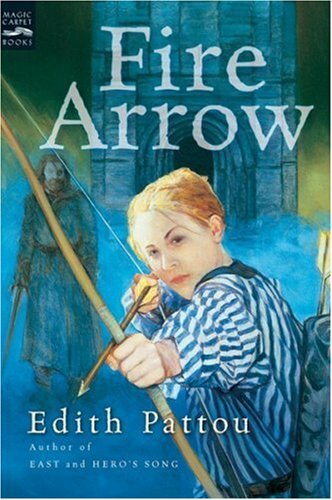 Fire Arrow: The Second Song of Eirren by Edith Pattou: Breo-Saight, the young archer from Hero’s Song, has abandoned her lifelong mission to avenge her father’s murder. But just as she stops pursuing the murderers, they turn up again, leading Brie to her birthright–a fire arrow. The magical arrow leads Brie to a strange country, where she finds the family and happiness she’s never known. But she also finds evil at work–the doings of a sinister, one-eyed sorcerer named Balor. Though Brie has given up on vengeance, she knows she must follow her mission through to its bitter end if she is to save the people she’s grown to love. 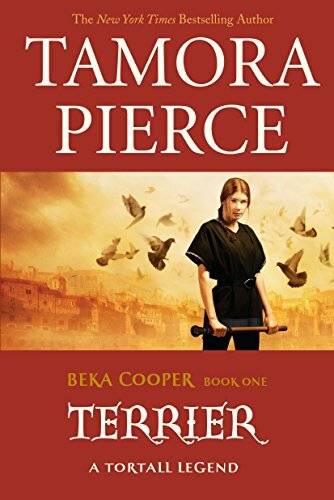 Terrier (The Legend of Beka Cooper, Book 1) by Tamora Pierce: Beka Cooper is one of the newest trainees in the Provost’s Guard. As a rookie—known as a Puppy—she’s assigned to the realm’s toughest district: the Lower City. It should be a death sentence. The Lower City is filled with pickpockets who are fast as lightning, murderers stalking the streets, and rogues who will knock your teeth out with a smile. But Beka’s not your average Puppy. She grew up in the Lower City and knows what makes it tick. It’s Beka who notices that there might be something more to the latest crime wave. And it’s Beka who must use her street smarts and her own brand of eerie magic to chase down a killer. 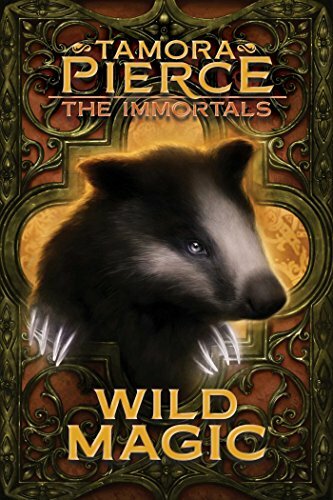 Wild Magic (The Immortals Book 1) by Tamora Pierce: Thirteen-year-old DaIne has always had a knack with animals, but it’s not until she’s forced to leave home that she realizes it’s more than a knack — it’s magic. With this wild magic, not only can Daine speak to animals, but also she can make them obey her. Daine takes a job handling horses for the Queen’s Riders, where she meets the master mage Numair and becomes his student. Under Numair’s guidance, Daine explores the scope of her magic. But she begins to sense other beings too: immortals. These bloodthirsty monsters have been imprisoned in the Divine Realms for the past four hundred years, but now someone has broken the barrier. It’s up to Daine and her friends to defend their world from an immortal attack. 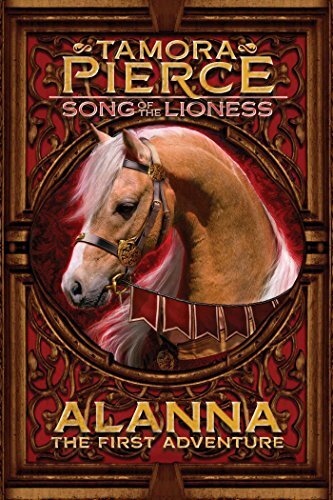 Alanna: The First Adventure (The Song of the Lioness, Book 1) by Tamora Pierce: Filled with swords and sorcery, adventure and intrigue, good and evil, Alanna’s first adventure begins—one that will lead to the fulfillment of her dreams and make her a legend in the land. In a time when girls are forbidden to be warriors, Alanna of Trebond wants nothing more than to be a knight of the realm of Tortall. So she finds a way to switch places with her twin brother, Thom. Disguised as a boy, Alanna begins her training as a page at the palace of King Roald. But the road to knighthood, as she discovers, is not an easy one. Alanna must master weapons, combat, and magic, as well as polite behavior, her temper, and even her own heart. 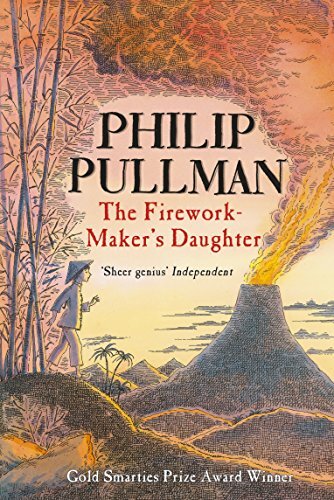 The Firework Maker’s Daughter by Philip Pullman: What Lila wants to be more than anything else in the world is . . . a Firework-Maker! But firework-making is not just about being able to make Crackle-Dragons and Golden Sneezes. There is also one special secret: every Firework-Maker must make a perilous journey to face the terrifying Fire-Fiend! Not knowing that she needs special protection to survive the Fire-Fiend’s flames, Lila sets off alone. Her friends, Chulak and Hamlet – the King’s white elephant – race after her. But can they possibly reach her in time? This edition is beautifully illustrated by Peter Bailey. 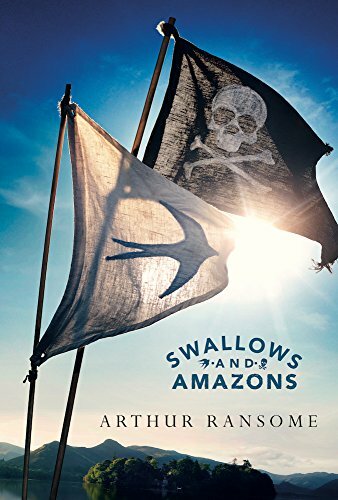 Swallows and Amazons (Godine Storyteller) by Arthur Ransome: The first title in Arthur Ransome’s classic series, originally published in 1930: for children, for grownups, for anyone captivated by the world of adventure and imagination. Swallows and Amazons introduces the lovable Walker family, the camp on Wild Cat island, the able-bodied catboat Swallow, and the two intrepid Amazons, Nancy and Peggy Blackett. 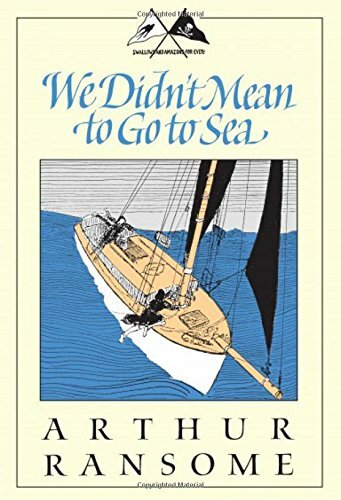 We Didn’t Mean to Go to Sea (Godine Storytellers) by Arthur Ransome: In this seventh adventure (following Pigeon Post, winner of the Carnegie Medal), the Walker family has come to Harwich to wait for Commander Walker’s return. As usual, the children can’t stay away from boats, and this time they meet young Jim Brading, skipper of the well-found sloop Goblin. But fun turns to high drama when the anchor drags, and the four young sailors find themselves drifting out to sea sweeping across to Holland in the midst of a full gale! As in all of Ransome’s books, the emphasis is on self-reliance, courage, and resourcefulness. We Didn’t Mean to Go to Sea is a story to warm any mariner’s heart. Full of nautical lore and adventure, it will appeal to young armchair sailors and seasoned sailors alike. 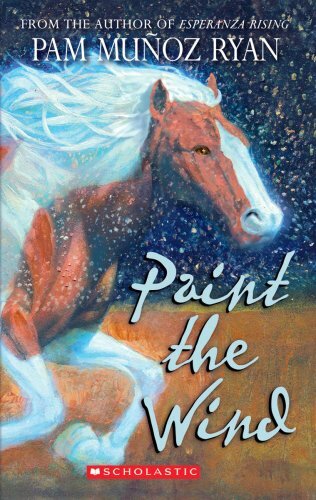 Paint The Wind by Pam Munoz Ryan: A sheltered girl. A wild horse. An unforgettable journey. Maya lives like a captive. At Grandmother’s house in California, everything is forbidden: friends, fun, even memories. And her life is built on lies: lies Grandmother tells her about her dead mother, lies Maya tells to impress or manipulate. But then she moves to the vast Wyoming wilderness where her mother’s family awaits – kind, rugged people who have no tolerance for lies. They challenge Maya to confront the truth about who she is. And a mysterious mustang called Artemisia waits, too. She holds the key to Maya’s freedom. But to find it, Maya will have to risk everything, including her life. 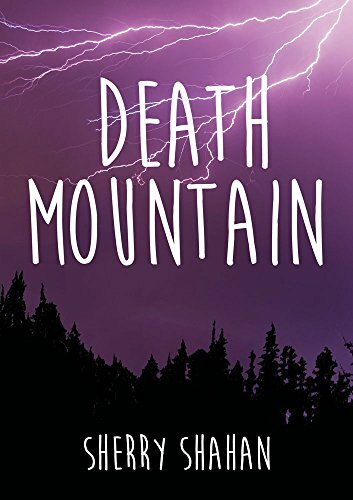 Death Mountain by Sherry Shahan: Author Sherry Shahan’s dramatic story displays perceptive insights into the conflicted hearts and minds of teenagers, as well as a thorough understanding of the natural world and technical details of mountaineering. An afterword includes details of Shahan’s own harrowing alpine adventure that inspired the novel. 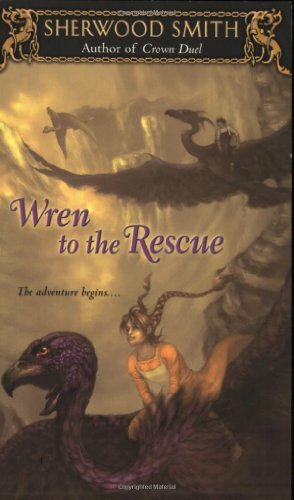 Wren to the Rescue (Wren Books) by Sherwood Smith: With the help of a prince and an apprentice wizard, Wren strives to rescue her best friend, a princess named Tess, from the fortress of a wicked king. Reissue. 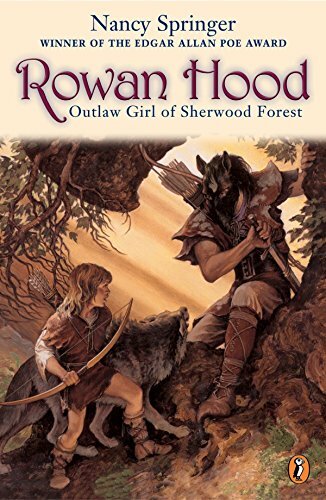 Rowan Hood: Outlaw Girl of Sherwood Forest by Nancy Springer: Rosemary has nowhere to go when her beloved mother dies. She has never met her father-the outlaw Robin Hood-and she’s grown up among the woodland creatures her mother loved. So she decides to change her name to Rowan, disguise herself as a boy, and undertake a perilous journey through Sherwood Forest, in search of Robin Hood. But how will she find him? And will he offer her a home? 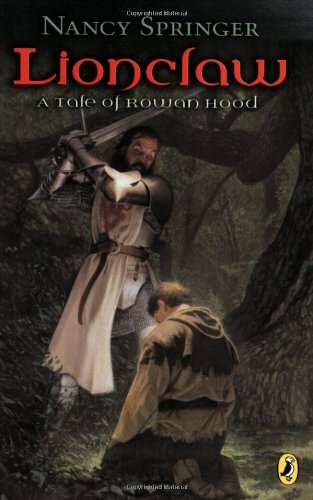 Lionclaw: Tale of Rowan Hood by Nancy Springer: Lionel is seven feet of pure coward. Banished by his warrior father for refusing to learn to fight, Lionel found refuge in the woods of Sherwood Forest, where he joined the misfit band of teens led by Rowan Hood, daughter of Robin. Now, a year later, his father has been taken prisoner by Robin Hood, and Lionel is determined to make peace. But when Lionclaw spots his son among outlaws, he vows revenge. Suddenly Sherwood is crawling with danger and Lionel wants nothing more than to turn and run. But when a couple of bounty hunters capture Rowan and use her as bait, the lion in Lionel is awakened, along with the courage to stand up to his father. 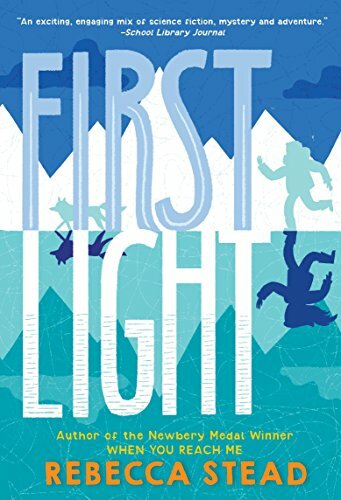 First Light by Rebecca Stead: Peter is thrilled to join his parents on an expedition to Greenland. But when they finally reach the ice cap, he struggles to understand a series of frightening yet enticing visions. Thea has never seen the sun. Her extraordinary people, suspected of witchcraft and nearly driven to extinction, have retreated to a secret world they’ve built deep inside the arctic ice. As Thea dreams of a path to Earth’s surface, Peter’s search for answers brings him ever closer to her hidden home in this dazzling tale of mystery, science, and adventure at the top of the world. 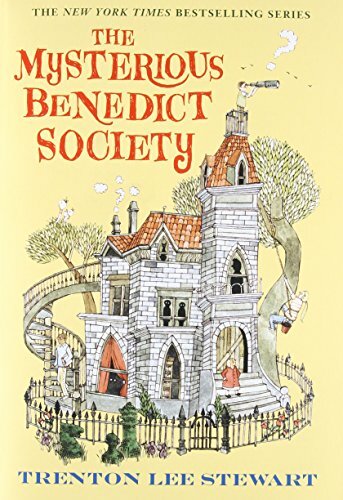 The Mysterious Benedict Society by Trenton Lee Stewart: When a peculiar ad appears in the newspaper, dozens of children enroll to take a series of mysterious, mind-bending tests. (And you, dear reader, can test your wits right alongside them.) But in the end just four very special children will succeed. Their challenge: to go on a secret mission that only the most intelligent and resourceful children could complete. To accomplish it they will have to go undercover at the Learning Institute for the Very Enlightened, where the only rule is that there are no rules. As our heroes face physical and mental trials beyond their wildest imaginations, they have no choice but to turn to each other for support. But with their newfound friendship at stake, will they be able to pass the most important test of all? 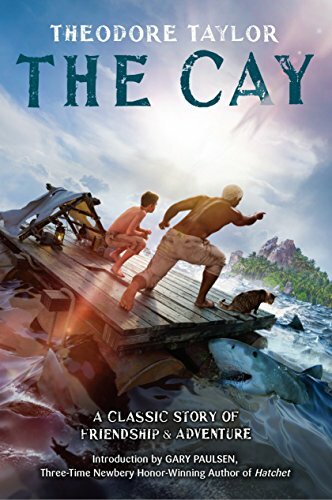 The Cay by Theodore Taylor: Phillip is excited when the Germans invade the small island of Curaçao. War has always been a game to him, and he’s eager to glimpse it firsthand–until the freighter he and his mother are traveling to the United States on is torpedoed. When Phillip comes to, he is on a small raft in the middle of the sea. Besides Stew Cat, his only companion is an old West Indian, Timothy. Phillip remembers his mother’s warning about black people: “They are different, and they live differently.” But by the time the castaways arrive on a small island, Phillip’s head injury has made him blind and dependent on Timothy. 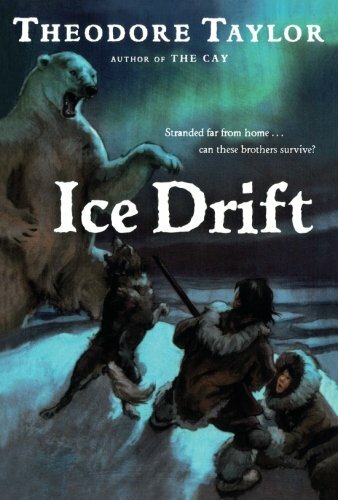 Ice Drift by Theodore Taylor: The year is 1868, and fourteen-year-old Alika and his younger brother, Sulu, are hunting for seals on an ice floe attached to their island in the Arctic. Suddenly the ice starts to shake, and they hear a loud crack–the terrible sound of the floe breaking free from land. The boys watch with horror as the dark expanse of water between the ice and the shore rapidly widens, and they start drifting south–away from their home, their family, and everything they’ve ever known. Throughout their six-month-long journey down the Greenland Strait, the brothers face bitter cold, starvation, and most frightening of all, vicious polar bears. But they still remain hopeful that one day they’ll be rescued. The Thief (The Queen’s Thief, Book 1) by Megan Whalen Turner: Eugenides, the queen’s thief, can steal anything—or so he says. When his boasting lands him in prison and the king’s magus invites him on a quest to steal a legendary object, he’s in no position to refuse. The magus thinks he has the right tool for the job, but Gen has plans of his own. 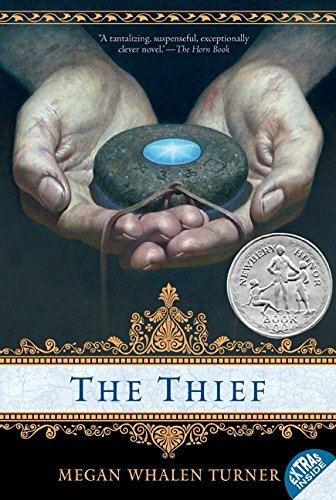 The Queen’s Thief novels have been praised by writers, critics, reviewers, and fans, and have been honored with glowing reviews, “best of” citations, and numerous awards, including the Los Angeles Times Book Prize, a Newbery Honor, the Andre Norton Award shortlist, and the Mythopoeic Fantasy Award. 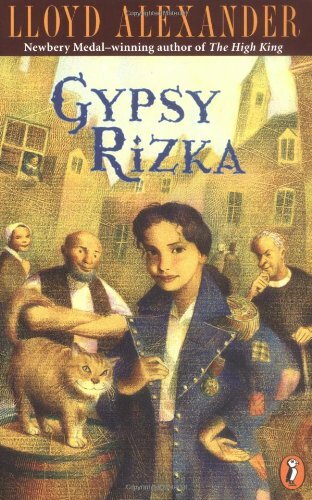 Gypsy Rizka by Lloyd Alexander: Quick-witted, bright, and sassy, Rizka the Gypsy girl is involved with everything that is happening in Greater Dunitsa, including runaway lovers, floods, magical caves, and a ghost in the town hall. And everyone in town has an opinion. Big Franko wants her to have a better life, General Hatvan wants to court-martial her, young Sofiya wants to be just like her, and her greatest enemy, Chief Councilor Sharpnack, wants to run her out of Greater Dunitsa. Has Rizka finally met her match? Like these chapter books for girls? Find even more engaging book lists for kids with more than 100 book-themed reading lists!